Note from author: This essay is over 1,800 words in length. Please do not feel that you need to write so much to score an A in GP. Indeed, a compact 750-word essay can do very well if it is of high quality. I decided to express my thoughts at greater length because I wanted to share more with you. This also happens to be one of the topics I am most passionate about. The relentless rise of science over the centuries, from the days of the great ancient Greek philosopher-scientists such as Democritus and Aristotle to the present day’s biological experiments with implanting human glial cells into the brains of rodents, has not only captured the imagination of the human race but also gradually planted and nurtured the seed of doubt in the human consciousness about our traditional religious beliefs. Today it has become fashionable to express extreme scepticism about the claims of time-honoured scripture or even decry religious belief as being the domain of irrational, ignorant fools. Fixated on the purported ‘objectivity’, ‘reliability’ and ‘rationality’ of science, the modern man often gravitates towards putting his ultimate faith in science; relying on it as the ultimate basis of Truth to the exclusion of all else; and letting it be, to an overwhelming extent, the basis of his actions. While I acknowledge the immense value of science in bringing greater objectivity to our understanding of the world and our lives, I believe that human actions should be founded mainly on scientific fact rather than religious faith only in areas where science is well-equipped to provide more definite answers and reliable solutions than religion. There is no denying that science often provides more objective evidence on many matters – based as it is on observable, measurable evidence – and therefore serves as a more rational basis for our actions in numerous life situations. This is particularly true on matters of physical reality such as the causes of disease or the operation of an aeroplane. In pre-scientific times, man believed that disease had purely supernatural causes – one fell ill because one had offended the gods. The remedy, therefore, was to repent and undertake penance. Thanks to science, we know today that diseases have identifiable natural causes such as viruses, and we can treat our maladies much more reliably with medicine formulated based on scientific evidence and find relief (whether or not the gods were involved in the development of the disease). Thus human action on such matters should be guided more by scientific fact than religious faith as the former is proven to be more reliable and effective in these aspects of life. Be that as it may, there is equally no denying that all the glorious discoveries and inventions of science provide extremely limited guidance on one of the most important facets of our lives: morality. Regardless of language, culture or religion, the human being has a deep need to feel that she is living a good life in moral terms – suggesting that this is a fundamental human need. But science, being rooted in physical reality, has little to no capacity to provide answers to such abstract questions. It can help us build a smartphone, but not teach us whether to use it to communicate with sincerity and devotion. It can enable us to build a gun, but not give us clarity on whether we should pull the trigger. It can enable us to conduct bizarre genetic experiments, but not answer the question of whether we should. Religion offers us answers to these questions not through empirical investigation, but through dictate. One could of course argue that religious teachings are morally problematic, and that some principles once regarded as sacred are now often seen as oppressive, such as the Christian prohibition on homosexuality. However, the vast majority of religious moral teachings such as the Christian commandment to be honest, and the Buddhist precept of kindness to all sentient beings, are almost universally accepted as positive, even by free thinkers. Of course this begs the question of why one would need religion if one could accept these moral ideas to be true even without a faith. I contend that religion provides an authoritative basis for acting in the right way for those who choose to adhere to it. In the absence of religion, it can be difficult to provide any other strong basis on why one should be honest – one could proffer a logical or scientific argument on why one should be so, but it would be equally easy to construct another argument on why one should not. On such matters, science does not provide many conclusive answers and thus, human action should use religion rather than science as its compass. Beyond morality, there are other questions that stubbornly occupy the minds of a very substantial proportion of our species – notably the origins of our existence, and its meaning. Where did we come from, and why are we here? Contentious as it is, I put forth the assertion that science fails to give any answer that is truly satisfying on either an intellectual or emotional level. On the matter of origins of humanity and of existence, its answers are incomplete and in particular, lacking in some of the most critical areas. The Theory of Evolution and subsequent research provide an impressive body of evidence that we evolved from ape-like creatures, and ultimately from a single-cell organism (possibly Darwin’s “universal common ancestor”). However, it begs the question, where did the first organisms in this process come from? How did such supposedly simple organisms have the amazing functionality of not only being able to reproduce, but also to steadily become millions of times more complex? In other words, even the simplest single-cell organism is a more complex and intricate machine than any device man has ever created. Could such intricate functionality and powerful purposefulness arise by chance? It would be analogous to pieces of plastic and metal randomly coming together to become a pair of Beats headphones. Certainly there is no empirical evidence of such a thing ever happening. Even though science has raised many doubts about the idea of a divine creator, it has never been able to disprove it comprehensively, nor replace the idea with a truly factual alternative. Even if one were to believe that the universe came into being through a Big Bang, and living creatures came into existence by chance and then evolved, science provides little or no conclusive answer to what the meaning of our lives is. Religion, on the other hand, offers the conceptually straightforward idea of a relationship with a divine being or the pursuit of a divine quest through an act of faith as the basis for a good life – which is one that brings immense fulfilment to millions around the world. I do not deny that religion is a highly problematic institution that contributes to strife and conflict, and that many religious believers are delusional or irrational. But the fact is that not all are so. There are highly logical individuals who have found great meaning in religious faith, such as former US president Barack Obama, Nobel prize-winning physicist Max Planck, and the Dalai Lama. There are millions who testify to this effect of religion, whereas one would be hard put to find more than a few who say that science has brought similarly deep emotional fulfilment as a basis for how they live their life. Hence in regard to the search for meaning in our lives, I hold that religion forms a better foundation for our actions than science. Finally, while it is a pervasive argument that science is provably factual and religion is less objectively so, we should ponder this question: is so-called scientific ‘fact’ really fact at all? This may come as a shock to 21st-century sensibilities, but a fundamental basis of scientific assertions is their falsifiability. All scientific claims are made with the readiness to be retracted in the presence of contradictory evidence in the future. One thinks of how Isaac Newton’s idea of absolute space – once considered to be fact – was debunked later by Albert Einstein’s General Theory of Relativity, which turned the foundations of physics on their head. Can anyone guarantee that Einstein’s theory will not, in the decades to come, be shown to be myth? The so-called ‘facts’ of science are really beliefs rooted in the shifting sands of constant theoretical challenge and empirical inquiry. Indeed scientists, if true to the spirit of science, do not advance any of their claims as absolute fact; religion, however, does. Absolute fact forms firmer grounds for deciding what one should do in life. The atheist would no doubt argue that the falsifiable claims of science are still more reliable than the baseless claims of religion. Well-known intellectuals like Carl Sagan deride religious adherents as following a belief without a shred of evidence. We should, however, not be overly narrow in our definition of evidence. The scientific paradigm – repeatable experiments, observation and measurement under pre-defined parameters – need not be the only paradigm through which we can derive truth. Speak to one or two hundred believers of different faiths, and you will hear many striking accounts of events in their lives that they believe were influenced by metaphysical forces such as God or karma – events that substantiate the claims of their scripture and cannot be explained by science or mathematics. For instance, a believer narrates that she prayed to God to reveal himself to her and guide her on which religion to follow. While asleep in a taxi, she is woken by an unexplained feeling of a tug on her arm. She awakes to see a place of worship outside the taxi with a banner that beckons her to come in and experience God. She then asks God for confirmation. That week a friend meets her for lunch, testifies to how God changed her life, and invites her to the very place of worship that she passed in the taxi. Testimonies like this abound among the religious. Science and mathematics cannot explain how this happened – indeed the probability of such an event happening by chance is minuscule. While there is no way to provide proof in as observable a way as science, in a laboratory, such events serve as quite objective evidence to religious believers in a way that often only each individual believer has access. We should not be too quick to dismiss religious beliefs as groundless or religious testimonies as delusional – indeed, we often have no proof of that. Thus, it is my position that human action should be based primarily on scientific fact in areas where science provides relatively greater certainty than religion does – such as the treatment of physical illness – but in other domains of action where science does not possess this advantage, our path in life should be guided more by religion. Indeed, even in realms such as physical health, there is sometimes a case for choosing a spiritual rather than medical course of action. There are many testimonies to how prayer created what appears like a miracle when many medical therapies had failed. Even if the supposed ‘miracle’ does not materialise and the believer dies, he may do so happy in the belief that he is about to go on to a better place. Whether we are atheist or religious follower, we should keep our minds open to anything that has not been comprehensively falsified. Copyright 2017 Steven Ooi. All rights reserved. No part of this work is to be reproduced without the written consent of the author. To view tutors recommended by him, please click on ‘Recommended Tutors/Testimonials’ above. 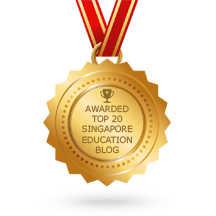 English or GP tutors keen to be listed on this website (consistently ranked top 10 on Google for GP tutors) as a Recommended Tutor, please email stevenooi18 @ yahoo.com (remove the spaces). For more GP model essays, click here. This entry was posted in Argumentative essays, English essays, gp model essays, Model essays and tagged gp model essay on science, gp model essays, gp tuition jobs, gp tutor wanted, sample argumentative essays. Bookmark the permalink. Would it be OK if I cross-posted this article to WriterBeat.com? I’ll be sure to give you complete credit as the author. There is no fe5e, I’m simply trying to add more content diversity for our community and I liked what you wrote. If “OK” please let me know via email. Hi, the essay flow was excellent and one could easily feel the passion you channeled throughout. But somehow I feel that the large two paragraphs were not really linked back to answering the question, though the reasoning was there and clearly sound. Would you agree that something similar would be precarious to be done? Or does it indeed show mature thinking and strong personal voice of the writer? On a side note, unlike the essay you wrote on ” Why should we be concerned with current affairs,… forgotten” which was backed by multiple solid arguments, this one seems to be more of a pure argumentative/philosophical kind. My favorite was the paragraph on the view of morality. hello, this is a very detailed analysis of the qn with well thought out examples. However, is it possible to condense this into a 30 min essay where i can write in my primary school exam? i would have to disagree with your second point on how science doesn’t offer us answers as to how we came into existence and hence religion triumphs science in this aspect (okay, you didn’t say this word for word but it was implied). if science can’t seem to give us the answer, we should just give up and fall back on scriptures that were written hundreds of years ago? as richard dawkins has said, “i am against religion because it teaches us to be satisfied with not understanding the world.” precisely because we do not know that is why we need science more than ever to always stay curious and not be contented with half-assed explanations from BOTH science and religion. but at least science is always seeking to challenge existing theories (over the years, many scientists have challenged einstein’s theories) and i think that is an important quality when answering questions that no one has the answers to.